What Defines Luxury Homes in Augusta GA? I was reading “And Just What is A Luxury Home?” by Roberta Murphy and this has me wondering how we distinguish luxury homes in Augusta compared to non-luxury homes. I expect a luxury home to be decadent with all the trimmings. Our luxury homes market in Augusta GA is very different than the luxury homes market in San Diego in certain aspects due to geography and price. You can get a very well-appointed luxury home in Augusta for a lot less than you would in San Diego. In regards to the geography, what type of location would be considered luxurious? Since we are not located on the coast for a dramatic view of the ocean, we have to settle for a Savannah River view or a lake front view on Lake Strom Thurmond based on a natural location. Golf course neighborhoods are a man-made attraction that usually includes several luxury homes and usually command top dollar. Yes, we have a number of fine homes in Augusta that are well above the million dollar price tag. But does price alone determine the title of “luxury home”? I would have to say no, price alone doesn’t qualify a property. I would say that the quality of construction and materials used in the home along with location would be paramount in determining the price of a luxury home. I would expect to see more unique stone and other quality materials used in the construction or decorating of the home – lime stone floors, marble counters and gleaming hardwood floors just to name a few. Kitchens and bathrooms should be very well appointed. I would expect a newer luxury home in Augusta and the surrounding area to include a media room and to be technologically friendly to accommodate our lifestyles today. Another important item to consider is the architectural details of the home. This is not necessarily one architectural style and I am not saying that any one style is better than another. Just that the home should have presence! It should make an impression as you round the corner or enter the gate once the home comes into view. The home should definitely have a “wow” factor. You should be impressed! Those are the top 5 things that I think help define a luxury home in Augusta. Did I miss anything? What makes a home luxurious to you? 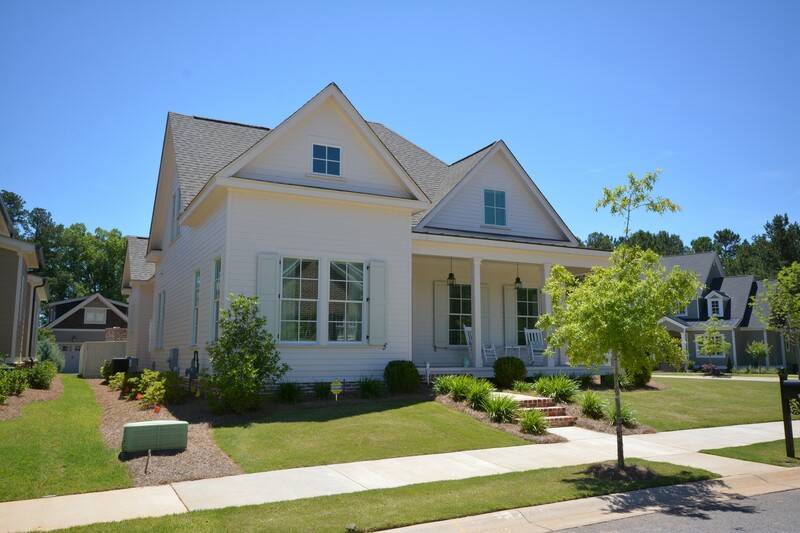 Luxury Homes in Augusta GA…. Augusta real estate includes some awesome homes for sale in the luxury category. The great thing about these homes for sale is they are available in all areas of Augusta – from Martinez to “The Hill” area in Augusta to North Augusta to Lake Homes at Strom Thurmond Lake…and points between. We are the fastest growing team with Keller Williams Realty in Georgia and know the market well. If you are looking for a gated community, golf course neighborhood, Estate property, equestrian property, executive home, or other luxury homes in Augusta GA – we’d be honored to assist you. The Augusta Home Hunter team can be reached at 706-294-6795 to set up a customized home search for you to make this process smooth. All you have to do is start your Luxury Augusta Home search and find your new home!